Almost all of the camera equipment I have ever owned was purchased used. While this isn’t something to be proud of, I do like to think I know a thing or two about cameras and lenses. I have run into the occasional problems with lenses, but I made sure I had the option to return them if they had issues. I have also purchased a few lenses and cameras from people on Craigslist as well and as long as you know what you’re getting and tried it out when you made the purchase, you should be covered. There are a few things that I always check and I’m putting them up here in the hope that you might find some of it useful. There’s not much that can go wrong with a DSLR camera that you can’t check in just a few minutes other than maybe a future shutter failure. The absolute first thing I do when I get a new to me camera is check the battery compartment for corrosion. Corrosion can be a sign of many things and if you’re planning on using the camera on a daily basis it’s best to keep your distance. Now, does the camera power on? You might ask, why would I not just turn it on first, then check the battery compartment? Sometimes battery doors can get wonky or battery springs can get loose and I like the check the compartment first so that I know I just put the battery back in the camera myself and it required no additional effort or weirdness. The rest of the checks I’ll just put below in list format. 2. Use your own memory card and make sure it works in the camera. 3. Check all the terminals and look for bent pins or junk stuck in them. 4. Check the camera’s lens mount (look for brassing or scratches) and be sure that the mirror box looks clean (no actual dirt or water spots). 5. Use you own lens, Does the camera recognize it? 6. Does the shutter work and sound OK? 7. If the camera can do multiple frames per second, test it and make sure it will. If the shutter is dying, sometimes you can actually hear the frames get slower and it will affect the exposure. 8. Does changing the aperture and shutter speed actually change the exposure? 9. Check that all the modes on the dial work as they are supposed to. 10. Does the LCD Screen work? 11. If the camera has live view or video, be sure that they work as well. 12. Do all the buttons and dials work? 13. Test the hotshoe (they can get burn out and not function). 14. If the camera has a pop up flash, check that as well. 15. If the camera can do remote IR flash, check that as well if possible. 16. You would have already done this by now and it almost goes without saying, but be sure the viewfinder looks good (clean) and that when using spot metering, the meter actually changes based on the scene. 17. Take one completely black (underexposed) and one white (overexposed) frame. View them on the LCD and look for dead pixels on the LCD and on the sensor. 18. Compose a picture, select a focus point and AF on it and capture it. Play back the images and check that your focus point is in fact, in focus. Be sure to do this with a lens you already trust. 19. If the camera has a diopter control wheel, be sure that it works. Set it up correctly for your eyes, select a focus point and take a manually focused capture. Check playback to confirm your focus point is in focus. 20. If the camera says it comes with all the accessories, check that it did. Most manuals list exactly what is included with them all the way down to the quick start guide. 21. Last but not completely least, be sure the battery charger works! 22. It depends on if you care or not, but sure what you’re buying is for the US market. If it’s not, the manufacturer’s service facilities won’t work on it. That’s not to say that there aren’t other places that can, just be sure you know that going in. 1. Look at the front and rear lens elements. Are there any scratches? Angle the glass towards a light and look at the reflection. Are there any marks or swirls in the lens’ coating? 2. This one is kind of up for debate, but hold the lens towards a light source and look through it. Is there dust or fungus on any of the inner elements? While some dust is normal on almost all lenses, fungus is not. Fungus is a deal breaker for me because it etches the glass and can never be fully removed without a re-polishing. Dust on the other hand isn’t something I worry about unless the seller said the lens had just had a fresh cleaning or is supposed to be new. A film can also be present on older lenses. If it’s supposed to be a clean lens, make sure there isn’t a lightly frosted look to the inner glass as it will affect the image quality. 3. Check the lens mount for brassing. While brassing isn’t a deal killer, again, if the seller said in like new condition, be sure that it is. 4. Check the lens terminals. Make sure the pins aren’t loose and that it doesn’t look like someone did a crappy repair job. 5. Mount the lens to the camera. Check to see that there’s very little play between the camera mount and lens mount. Also make sure the camera doesn’t show any kind of error message when moving the lens and holding the shutter half way down. 6. Does the lens AF? Make sure it does. 7. Does the lens focus to infinity and up close through the entire zoom range. 8. If the lens has a focus scale, check for cracks in the plastic. Then check that the scale matches what the lens is doing (i.e. if you’re focused to infinity be sure the scale shows infinity). 9. Use AF and select a focus point; take a picture. Review the picture and check focus. If your camera works with every other lens you’ve mounted on it, but not with this one; there’s a problem. 10. Use manual focus and be sure it’s smooth; if it catches, there could be a problem. The same goes for the zoom; If it catches, there could be a problem. 12. If the lens has IS and other switches, be sure these features work. On most image stabilized lenses, you can hear the IS motor working. 13. If the lens is supposed to have full time manual focus override, be sure that it works. 14. Set the lens to infinity focus and focus on something up close. Does the lens AF as fast as it’s supposed to? Different lenses will have different focusing speeds, but knowing how slow or fast it should be is important. If it’s horribly slow and it’s supposed to be lightning quick, there’s a problem. 15. Check the lens grips and be sure they’re snug. While loose grips are pretty common on older lenses, they are normally cheap and easy to replace. If it’s a known problem before you buy the lens, be sure that you can get a replacement and that they’re not discontinued. While this isn’t a huge deal, I’d hate to use rubber bands on a lens I just paid through the nose for. 16. Check the outer condition of the lens. If the lens is supposed to be new, check that the lettering isn’t starting to wear off and that there aren’t scuffs in the paint. 17. To get real picky, look at the screws that hold the lens together. Professionals use the correct screw driver sizes so that there’s very little damage to the screw heads. If the lens screws are all mauled up or mis-matched, it might make me think twice. If it’s a new lens, then that’s a no go. 18. Do a shake test. No, i mean give the lens a little shake. Does anything rattle? If it does, what is it and where is it? Most of all, know what you’re buying before you buy it. 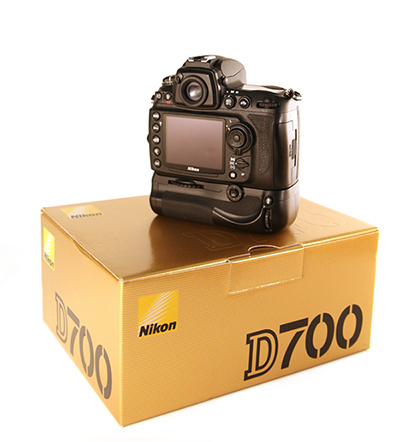 All newer DSLR camera manuals should be available online for free download from their manufacturer. Read through the manual before you get the camera so you know that it is the camera you want and how the features work. Know the life expectancy of the shutter (normally in the manufacturer’s specs) and how much it cost to repair if you’re buying a well used camera. There are also many many places that does lens reviews. Read over those reviews as they sometimes list common problems to look out for on used equipment. Be an informed buyer and it might save you some trouble in the long run.